Tokens make great gifts when you’re not quite sure what to buy, and here at The Bookcase we offer our own Bookcase Gift Voucher as well as National Book Tokens and Theatre Tokens. Our own Gift Voucher is the perfect gift for friends and family who enjoy a visit to The Bookcase. Our personalised tokens can be issued in any denomination and redeemed against anything in the shop. The tokens have no expiry date and are suitable for all ages and all occasions. They would also make a lovely competition or raffle prize…! National Book Tokens can be redeemed at most bookshops around the country and are now available as Giftcards making them much more flexible as they can be spent in any amount and also added to. They can be personalised too! Theatre Tokens are accepted in theatres and concert halls around the country, including the West End of London. 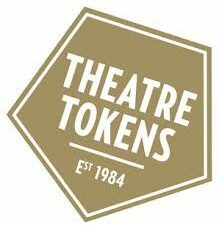 Theatre Tokens have no expiry date and are available in denominations of £20, £10 and £5. However, the Royal Centre in Nottingham no longer accepts Theatre Tokens.